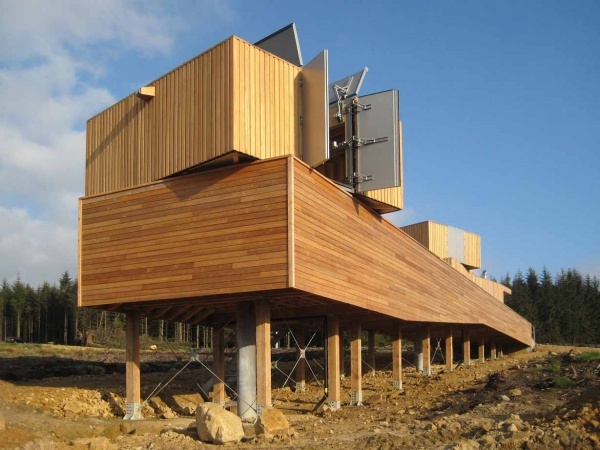 Kielder Observatory is a public outreach astronomical facility located in Kielder Forest, in some of the darkest skies in Europe and the third largest Dark Skies reserve in the world. Located in Northumberland, England, it’s situated just half a mile from the Scottish border on Black Fell near James Turrell’s Kielder Skyspace. The site was chosen as one of the locations in the UK which has the least amount of intrusive light pollution. The primary function of the observatory is outreach via public events. The goal being to bring in members of the public of all ages from school children in primary school, and upward. The aim being to engage in discussions and observations of the Universe. They do this in a way that is friendly, informative and interesting, through their amazing team of astronomers, guest speakers and volunteers. Click here to visit the observatory website. The observatory is administered by a team of full time staff, and a large group of volunteers who have collectively created the Kielder Observatory Astronomical Society. Their aim is to bring astronomy to surrounding community, and to promote not only the amazing dark skies, but also the beauty that is the Northumberland countryside. The society hosts the Kielder Forest Star Camp (video link) each autumn, and the Sunderland Astronomical Society holds a similar star camp each spring at the Observatory. Kielder observatory has featured on BBC’s Sky at Night Television show, and in the wonderful ‘Robson Green’s Tales from Northumberland.